Delancey Street Associates closes on its construction loan to build housing at 140 Essex Street. 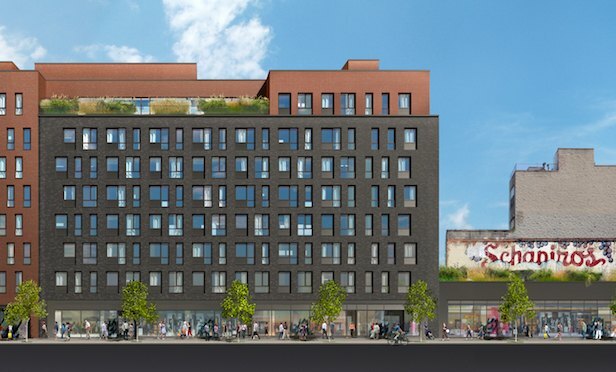 Launching phase two of Essex Crossing, Delancey Street Associates will begin constructing an eight-story building at 140 Essex Street. Referred to as Essex Crossing Site 8, designed by Beyer Blinder Belle, the development will include 92 studio apartments, available exclusively for seniors earning up to 60% of area median income or earning up to $40,000 annually. The structure will also feature 9,600 square feet of ground retail space.